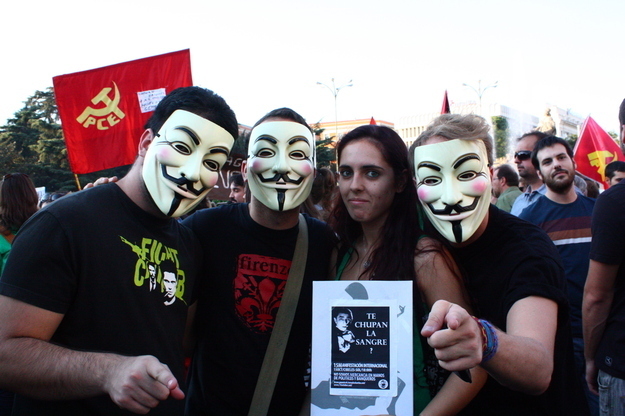 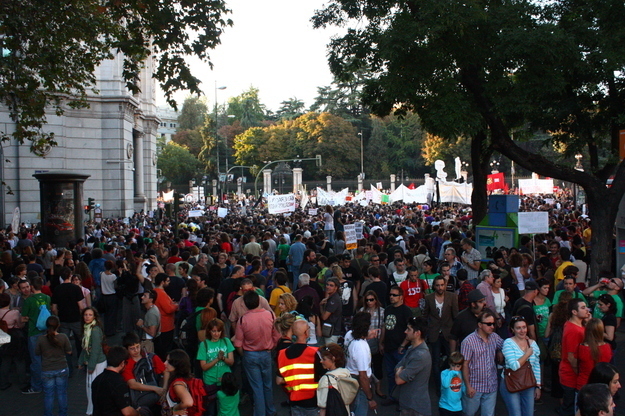 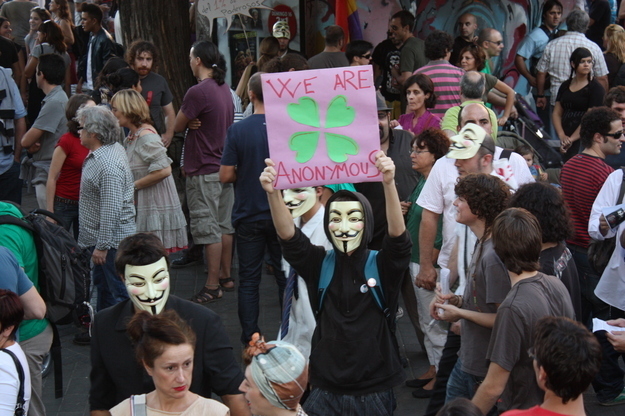 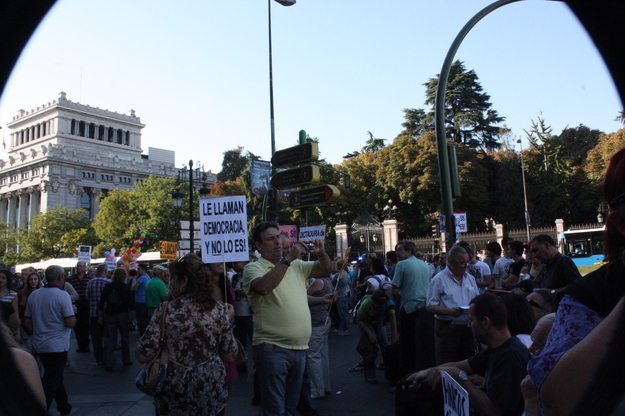 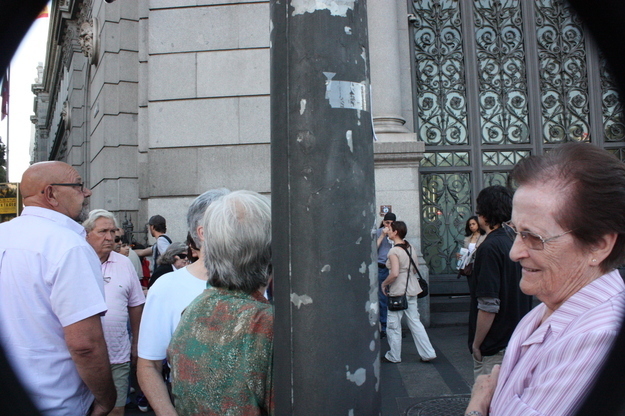 The protests in Madrid, were peaceful, family-oriented, and included people of all ages. 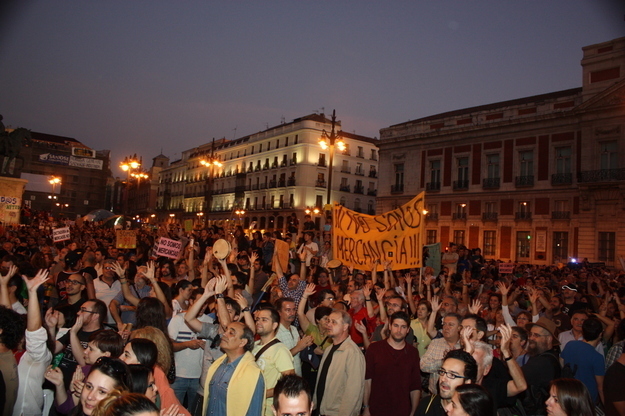 The most amazing moment of the demonstration, which took place at Plaza del Sol (the heart of Spain's capital), was when a live orchestra performed Beethoven's 9th Symphony over loud speakers. 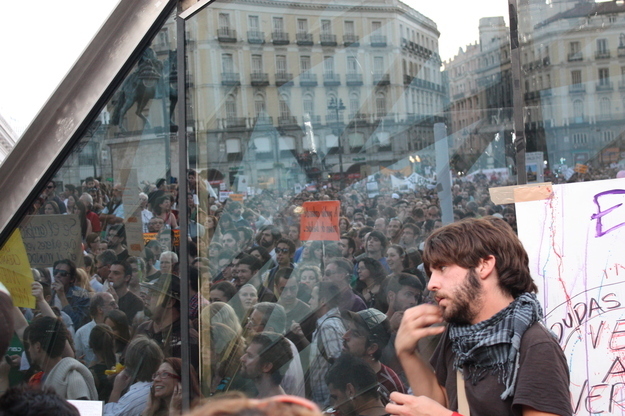 It was an amazing experience, unlike anything I've ever seen in the States.